Computer and Related Technology Time Line "lifted" from "Journey to the Moon" History of the Apollo Guidance Computer"
Time-Lines, Problems - or Why is a "History of Computing" project so difficult? 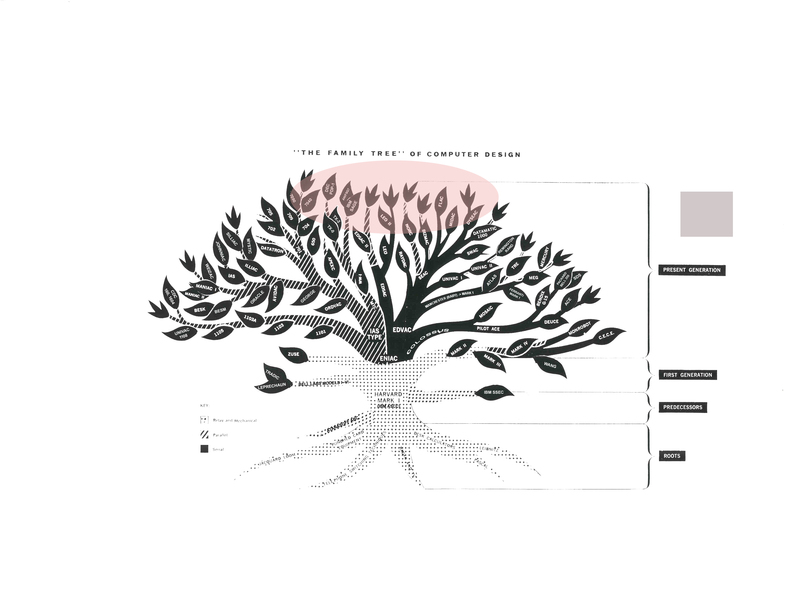 We just added a few of the bigger omissions to the original c1960 NSF Tree (the tree is one of the nicest I know). 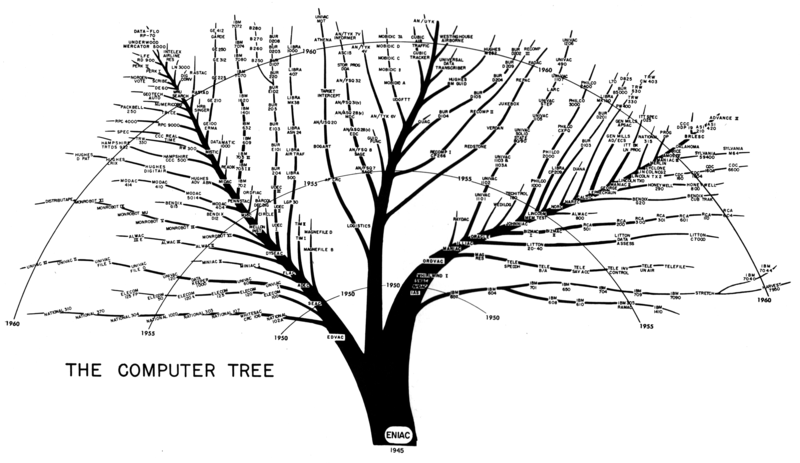 The later tree based on just ENIAC is fairly inaccurate and has none of the English or Zuse machines. 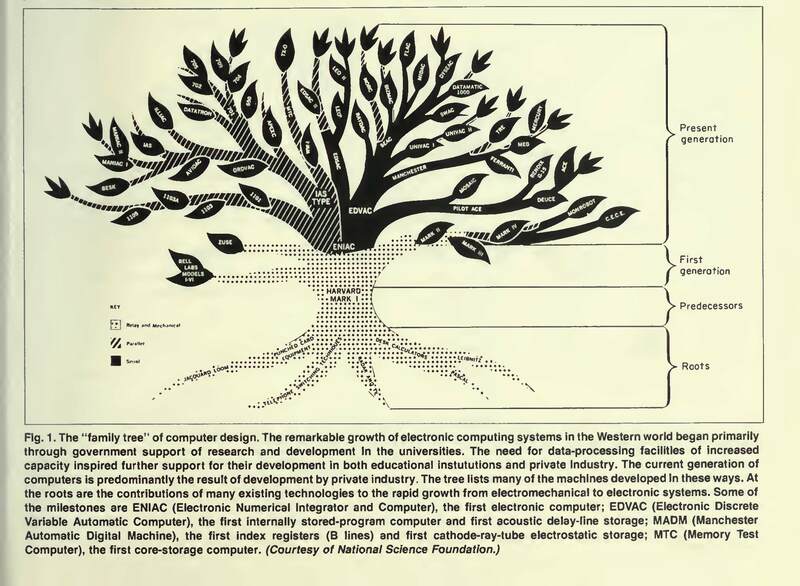 It would be great to have a LCM or Shustek quality tree for all the early computers. 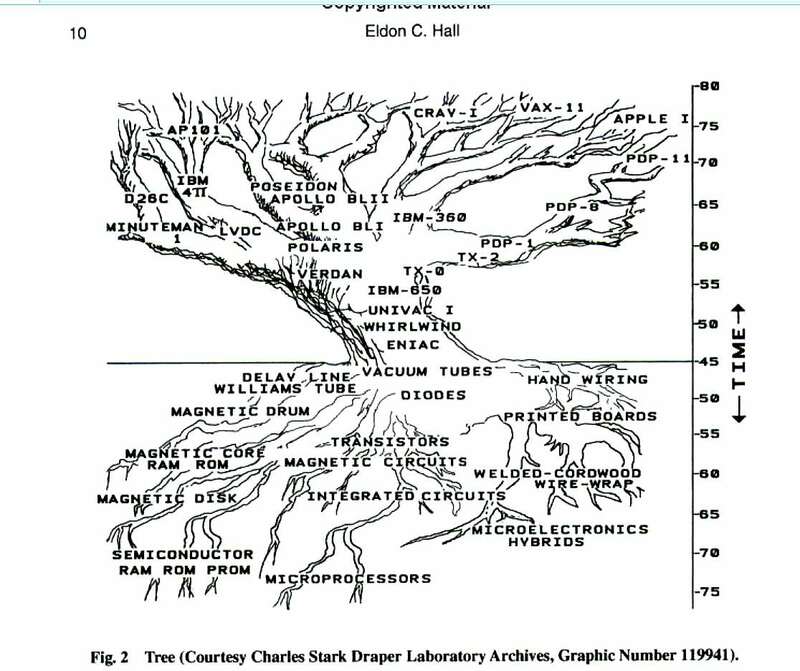 Bell and Newell Fig.2 pretty much has the machines on times lines with no branching or interconnects. If your inclined, review it and make suggestions, but it really stops about 1960-62. The goal of the additions was to get Zuse, ABC, Colossus plus a few more. including CDC, DEC, PB, and SDS…. Also Atlas.